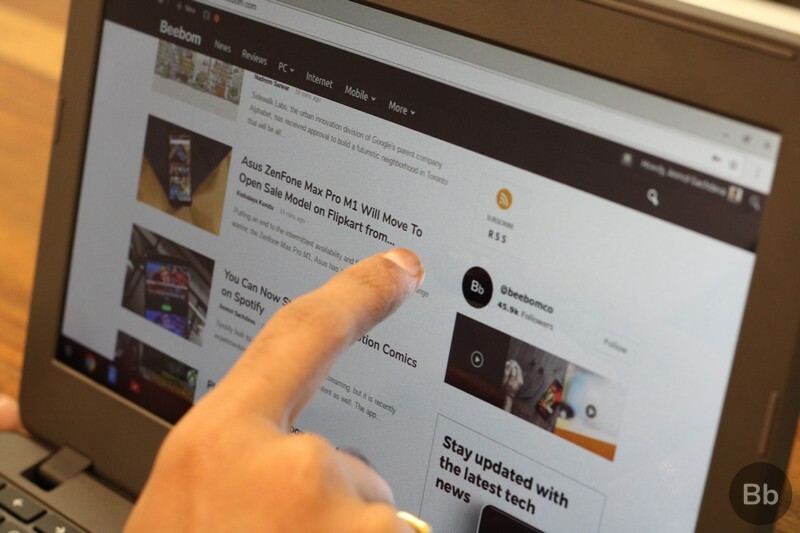 Google introduced Chrome OS as an alternative to Windows and macOS, and while the company didn’t succeed in its ambitions the way it did with Android, it succeeded in creating a niche of computing machines targeted at users deeply invested in Google’s ecosystem of apps and services, and also gained popularity among students. At the moment, nearly all major PC makers have released Chromebooks with different hardware targeted at a different audience, but in general, Chromebooks are often marketed as a more affordable alternative to conventional PCs, so their hardware is ‘just sufficient’ in most cases. 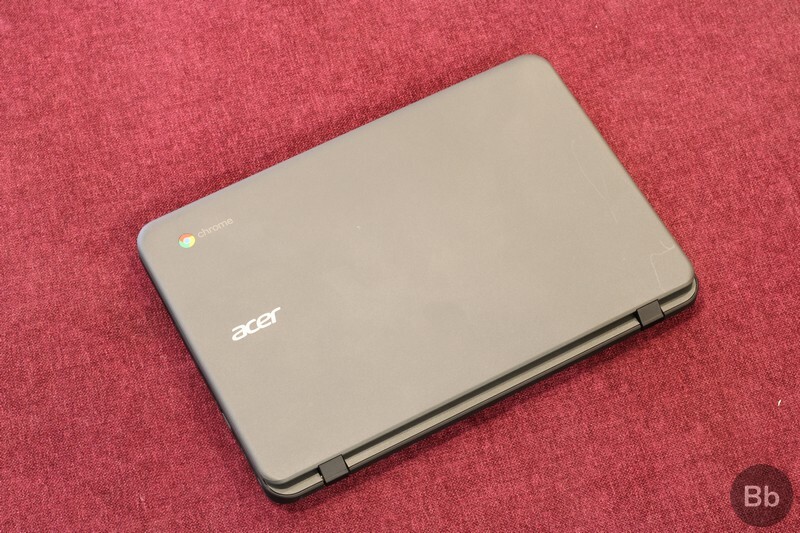 Acer has released multiple Chromebooks so far, and today, we have the Acer Chromebook 11 N7 (Model No. 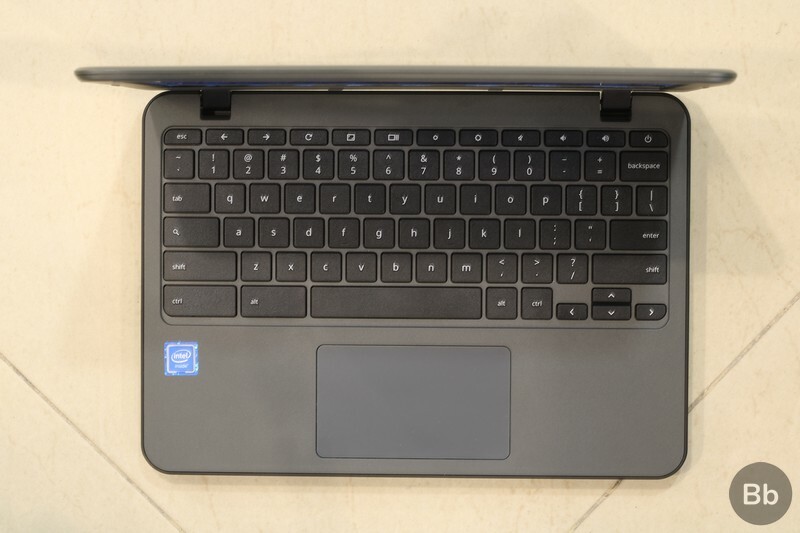 C731T-C03W) for review, which features a rugged build and packs an Intel Celeron processor coupled with a modest 16GB of internal storage and 2 gigs of RAM. The device also comes in a version with 4GB of RAM which costs $248, so the one we have for review should cost lower than that. The moment you hold the device in your hands, two ideas will instantly come to your mind- durability and portability. The Acer Chromebook 11 N7 features a rugged build and a reinforced polymer body which is compliant with the MIL-STD 810G US Military durability standard, which basically means the device is built like a tank. 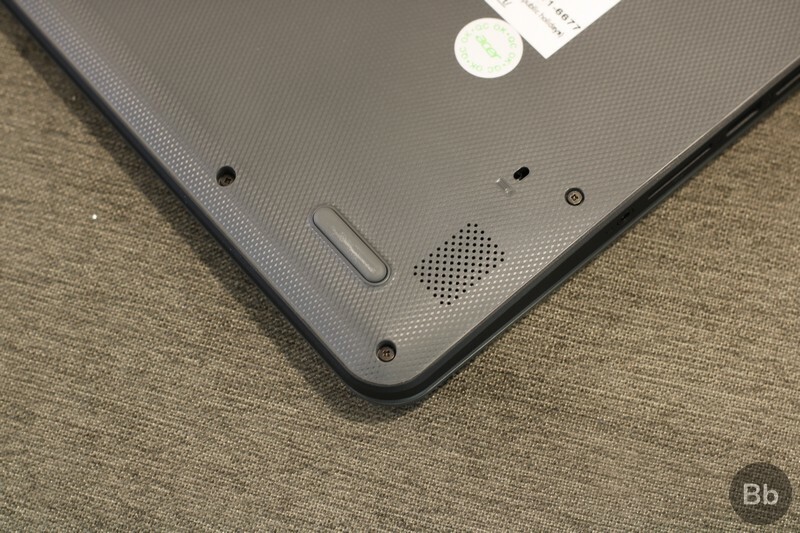 Acer claims that the device can survive up to 60kg of downward force on the top cover and can also withstand a drop from a height of up to 48 inches (1.21m/4ft), all thanks to the rubberized bumper surrounding the keyboard base. 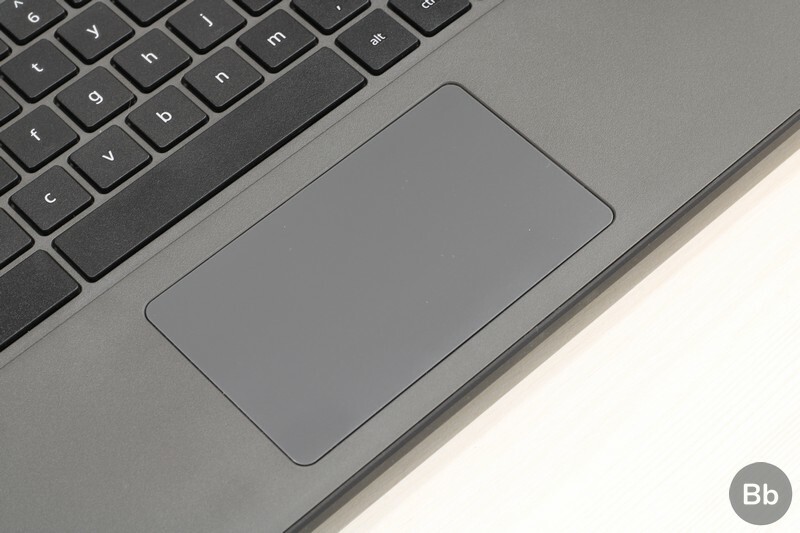 The matte gray top has a rough surface while the base has an anti-slip pattern which provides an excellent grip and gives an assurance that the device won’t slip out of your hand. Moreover, the device has a spill-resistant keyboard which provides protection against a puddle of up to 330ml of liquid, all of which is drained out by two holes at the base of the device, preventing the liquid from frying up the internal circuits, thanks to the aforesaid liquid gutter system. 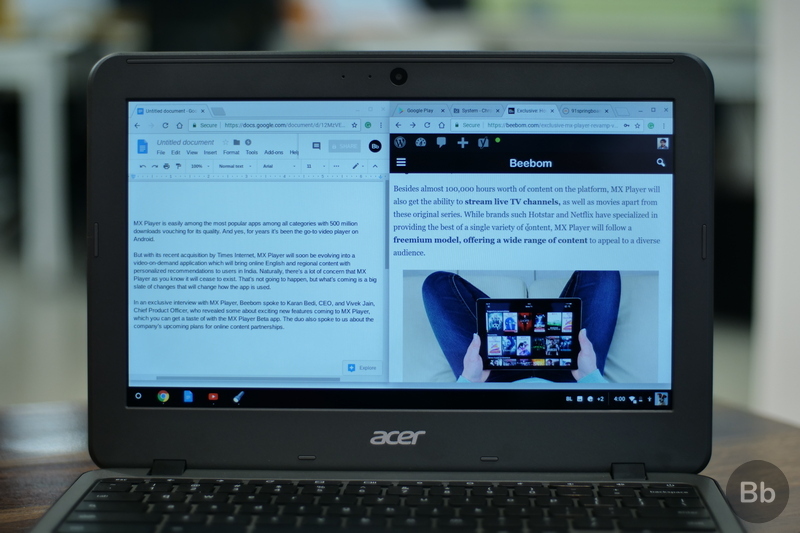 The Acer Chromebook 11 has a sturdy hinge mechanism which allows the display to be folded open just a little beyond 180, which means the device can lie flat on a table, however, we don’t understand how that can prove useful in a classroom. 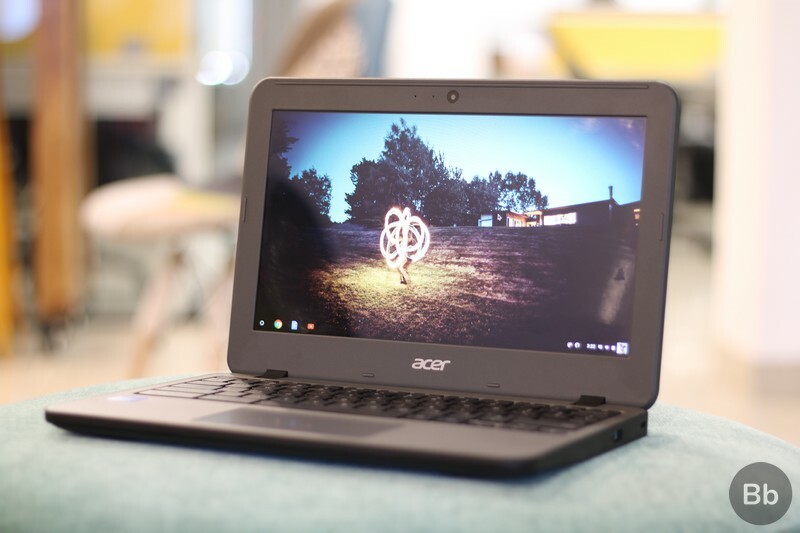 It is abundantly clear that the Acer Chromebook is targeted primarily at students who are often clumsy with their gadgets, and Acer has succeeded in a building a Chromebook that is sturdy enough and can withstand its fair share of mechanical abuse. 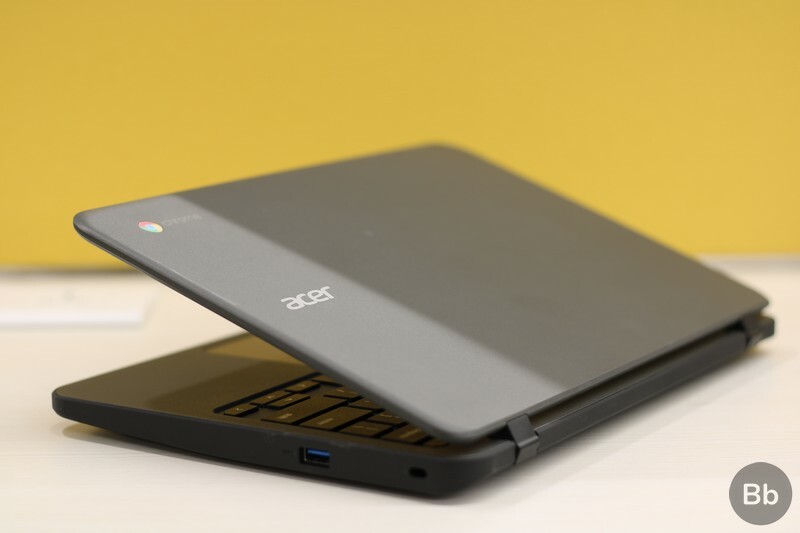 The Acer Chromebook 11 N7 is targeted at a particular audience which does not use it for exhaustive office presentations or graphics intensive designing tasks, so the port selection has been kept at the bare minimum. On right left side, you’ll find a standard 3.5mm audio jack, an SDXC card slot, a USB 3.0 port, an HDMI port and the charging port. 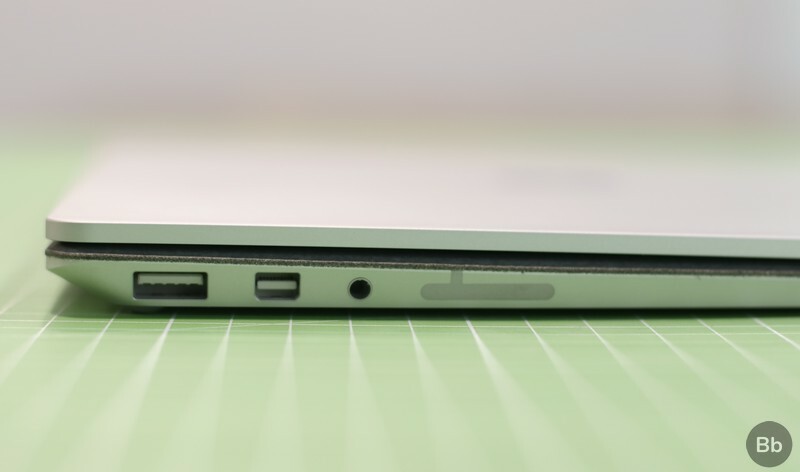 On the right edge, there’s another USB 3.0 port and a Kensington lock slot above it. 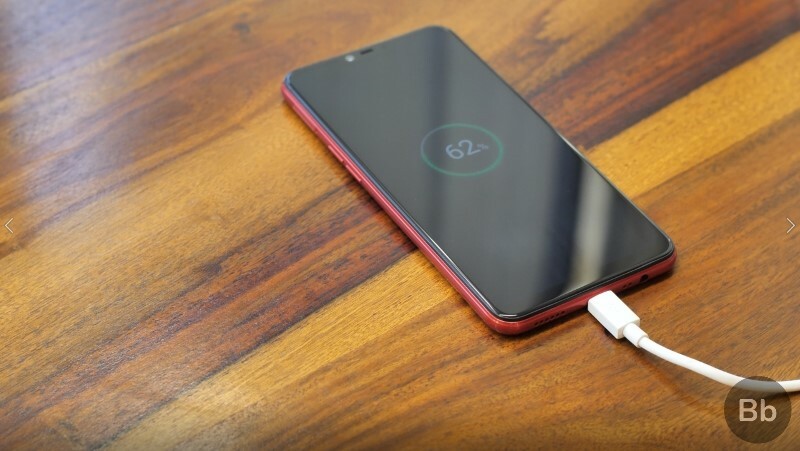 A USB port would have been a nice addition, but considering the price point of the device and the frugal amount of internal storage available on the device, there is a minimal chance that frequent data transfer with another device will take place for which a Type-C port would be required. The Acer Chromebook 11 N7 features a touch-sensitive 11.6-inch IPS LED-backlit display with a resolution of 1366 x 768 with Acer’s Cinecrystal technology and support for multi-finger gestures. However, variants with a non-touch sensitive display are also available. The resolution might appear to be quite low for a computing machine, but thanks to the small size of the display, images and videos don’t appear to be grainy. Viewing angles are surprisingly good for an entry-level device, and there is minimal color fading when the display angle was changed. Color accuracy is good too, but just don’t expect deep blacks and all shades to pop out like an AMOLED panel. My only qualm with the display was the low peak brightness level. If you are using the device in a dark environment or places with a moderate level of artificial lighting, the display would serve you well, but if you plan to use it outdoors or in well-lit surroundings, you’ll have some difficulties reading the text on the screen and gauging the shades. As mentioned earlier, the device has a spill-resistant keyboard which can take a liquid spill of up to 330ml and drain it out via two vents at the base of the device. The keyboard has a recessed design and the keys have 1.4 millimeters of key travel, providing a comfortable typing experience. The keys have a nice springy feedback and are ideal for typing assignments, however, they are not backlit. Despite its small size, the keyboard does not feel cramped, and in my time reviewing the device, I felt minimal discomfort and within an hour, I was back to the normal WPM count I clock on my Lenovo Thinkpad, which features one of the best keyboards on any laptop out there. The touchpad is a little disappointing compared to how good the keyboard is, and even though it supports two-finger and three finger-gestures, accuracy is not as good as you’d find on a laptop with Windows Precision Drivers technology. But then, expecting a glass-layered keyboard with butter-smooth gesture execution would be a pipedream on a device which costs less than $250. The device features two speaker grilles at the base which can get surprisingly loud, however, as you crank up the volume, the clarity takes a hit and the overall quality simply nosedives. There is minimal to no bass output, and listening to metal songs at high volume renders a tinny sound. Moreover, the audio gets muffled if the Chromebook is resting on your lap. So, if you plan on attending an online lecture series or binge watch a TV show, you better plug in your headphones if you don’t want to miss the details. 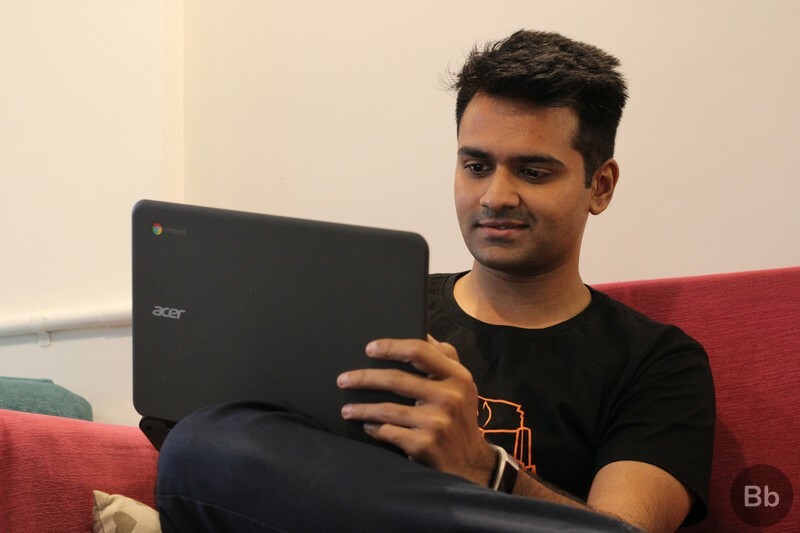 The Acer Chromebook 11 N7 is powered by an aging dual-core Intel Celeron N3060 processor clocked at 2.0GHz which is paired with a paltry 2GB of RAM and 16GB of internal storage. As expected, the Chrome OS-machine is not zippy enough and lacks the multi-tasking oomph one would want their device to have. 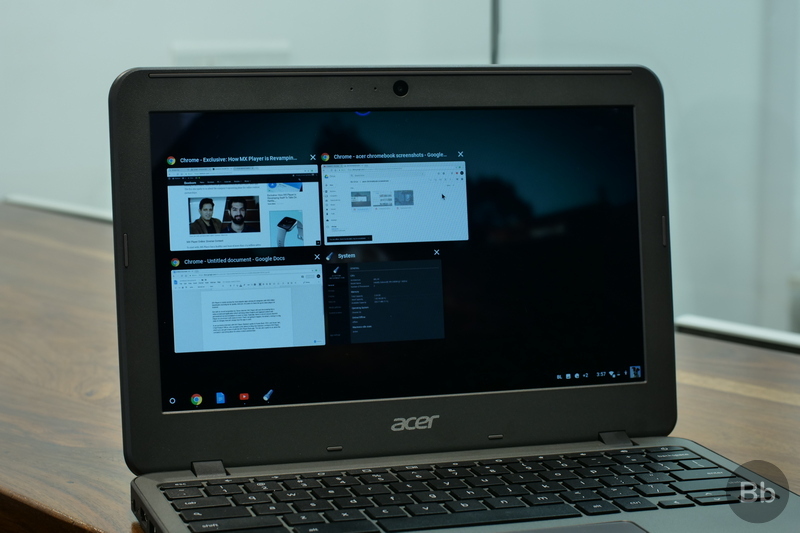 While the Acer Chromebook 11 N7 was capable enough to handle up to three or four lightweight apps running in the background and a few chrome tabs, there is a noticeable stutter when you multitask your way through them. And when only a single Chrome app was running and there were 8 or 9 tabs on which I was accessing my mail, editing a Google Docs file and playing a music video, there was a noticeable lag while switching between the tabs. The touch input is accurate, but there is a certain latency when you have a lot of apps running in the background and pushing the processor to its limits. 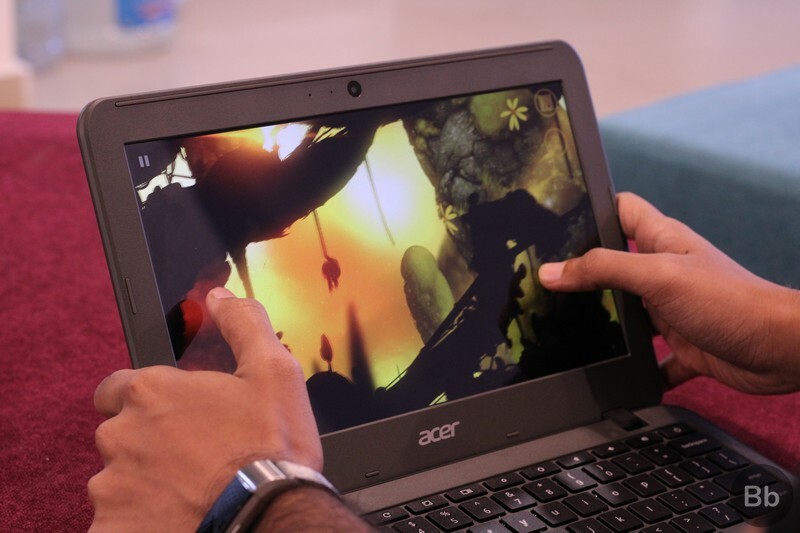 Talking about apps, the Acer device has full Google Play support, which means you can download all Android apps and interact with them just as you would do on a smartphone, thanks to the touch-sensitive screen. But downloading apps is one thing and running them smoothly is an altogether different game. While Google’s suite of productivity apps work like a breeze and a few other Android apps and light-weight games work fine, but as you move to more graphics or resource intensive apps, the performance takes a big hit. For example, I tried a few popular titles like Angry Birds and Candy Crush, and they worked just fine, but as I moved to more graphics intensive games, the frequency of stutters and lags started to increase dramatically. I then tested a few really demanding games like PUBG Mobile, and unsurprisingly, the Acer Chromebook couldn’t handle it, as the game was stuck on the load screen despite multiple attempts to run it after closing and re-launching it. There is only one reason behind this performance fiasco, and that is the slow Intel Pentium processor, and the paltry 2GB of RAM does not help either. As far as productivity is concerned, there is no dearth of Android apps that you can download and easily handle your day-to-day tasks. But if you are running mobile versions of desktop apps such as Microsoft Office, you might face some limitations while they are running on your Chromebook, as they are mobile optimized versions, and hence, lack the full suite of features available on their desktop version. Another issue is the amount of storage. Our review unit had just 16GB of internal storage and I quickly ran out of memory space after downloading a few apps, games, and transferring a few files. So, if you plan on buying the device, don’t forget to store all your media files on your Google Drive, and of course, remain connected to the internet in order to access them, which is another limitation if you are on the go. As much as I was disappointed by the Acer Chromebook 11 N7’s sluggish performance, I was more than overwhelmed with its excellent battery life. 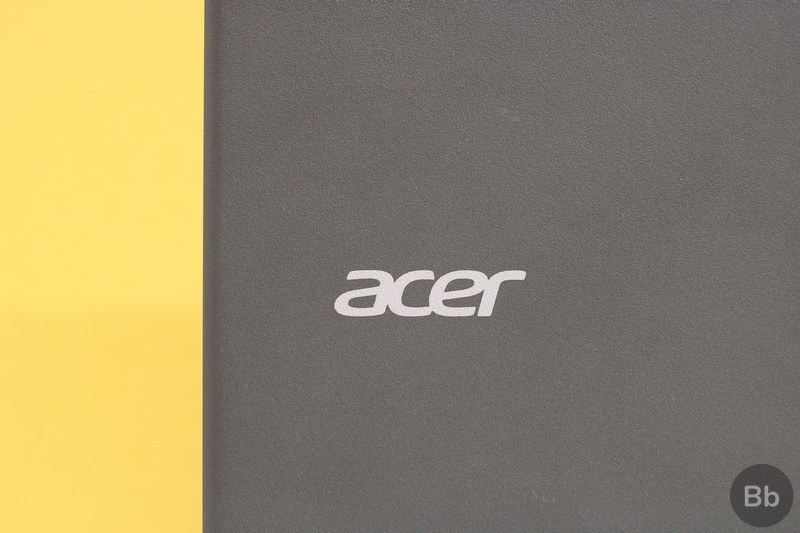 Acer claims that the device has a battery life of around 12 hours and can easily last over a day of moderate usage, but in my experience, the device exceeded those expectations. I used it as my daily driver for a day and by the time I was packing my bag, there was still around 40% battery left. To test it further, I charged the device to 100% and started streaming a cricket match, and after approximately 5 hours of streaming, the battery level had only dropped to 55%, which is simply amazing. All in all, if you buy the device and use it as your daily driver, you won’t have to run to the nearest charging point during your entire day, which is not something many Windows 10-powered PCs can brag about. 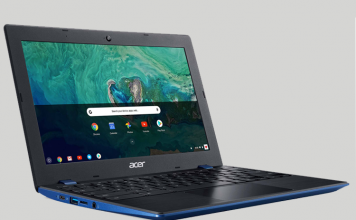 By now, you certainly have an idea that the Acer Chromebook 11 N7 is targeted at students and people who want durability, affordability, and versatility bundled in a single package. With a price tag which falls below the $250 mark, the Acer device offers a highly durable build quality, excellent battery life and a great keyboard which is ideal for typing, all in a very portable package. And what’s more, you also get access to all Android apps, which is a huge bonus. But an underpowered processor and a barebones memory configuration result in a sluggish performance and take a toll on the Acer Chromebook’s multitasking abilities. 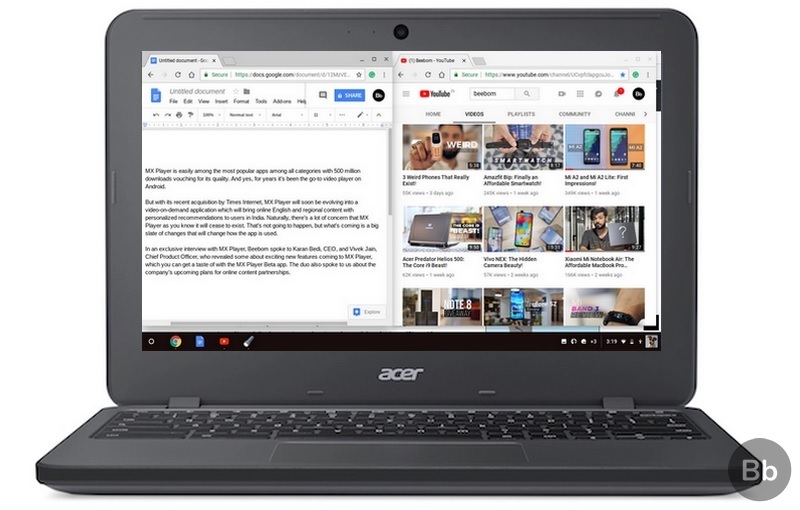 However, if your day-to-day work does not comprise of heavy-duty graphics-intensive tasks and high-levels of multi-tasking, then the Acer Chromebook 11 N7 is definitely worth the money for what it brings to the table. Well, as you must have noticed, the Acer Chrome 11 N7’s cons far outweigh its cons. I really like the design and the excellent battery life this Chromebook offers, but the average performance makes it hard for me to recommend it. Anyway, what do you think? Will you buy the Acer Chromebook 11 N7? Tell us in the comments down below. The Acer Chromebook 11 N7 is an excellent entry-level Chromebook, all thanks to a very sturdy build, nice keyboard, decent port selection and an outstanding battery life, which is enough to easily last through a day of usage. However, a severely underpowered processor and just 2GB of RAM take a toll on the device's performance, which is quite sluggish when it comes to multitasking and running heavy apps.